My Top 5 Favorite Disney Movies! So I was looking for ideas on what to post for todays video and some suggested me tell my top 5 favorite Disney movies. So here they are. Also please comment down below on what your favorite Disney movie is. Remember I come out with new videos every Monday, Wednesday, & Saturday. So be sure to subscribe if you haven’t already. Plus be sure to click the bell icon to turn on post notifications so you know when I release new videos. As many of you know last week I talked about positive affirmations and how wonderful they can be. So this week I decided to list some of my favorite affirmations and I hope that these can help others. I actually found this on Pinterest which I find a lot of positive affirmations so I definitely recommend looking there so enjoy! I hope you enjoyed reading those positive affirmation and I hope they helped you if you have been feeling down today. Also comment down below on if you have a favorite affirmation or saying! Welcome to another Monday video and since Easter was yesterday I decided to discuss favorite Easter memories. So feel free to comment down below your favorite Easter memory and if you don’t celebrate Easter then just a favorite memory of something you’ve done on Easter. Remember I come out with new videos every Monday, Wednesday, & Saturday. Also remember to click the bell to be notified of when my new videos release. Plus enjoy & subscribe! Top 3 Favorite Anime Sidekicks! Hey everyone my new video is now out on my top 3 favorite anime sidekicks! Check out what my favorites are! Also what are your favorites? Enjoy!! Alright since it’s so close to Christmas and I’m sure many of my fellow anime fans have something anime related on their Christmas list whether it be a DVD, a figurine, some kind of apparel, or just anything else you can think of. But my question is what is your favorite ones that you have received. 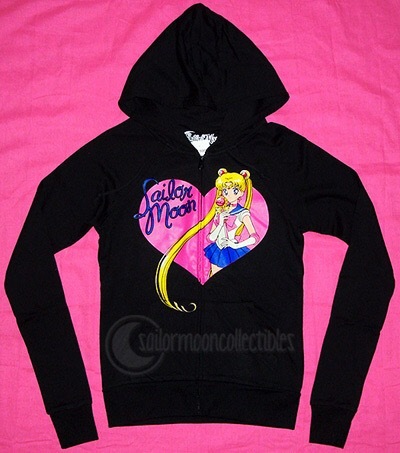 For me my most favorite gift was a Sailor Moon Sweatshirt and shirt that my mom got me for Christmas. I was so excited to get it because it was one of the things that I really wanted. I still wear the sweatshirt now and I get a lot of compliments on it when I wear it. But what about everyone else. Comment down below and let me know! I can’t wait to read all your comments.